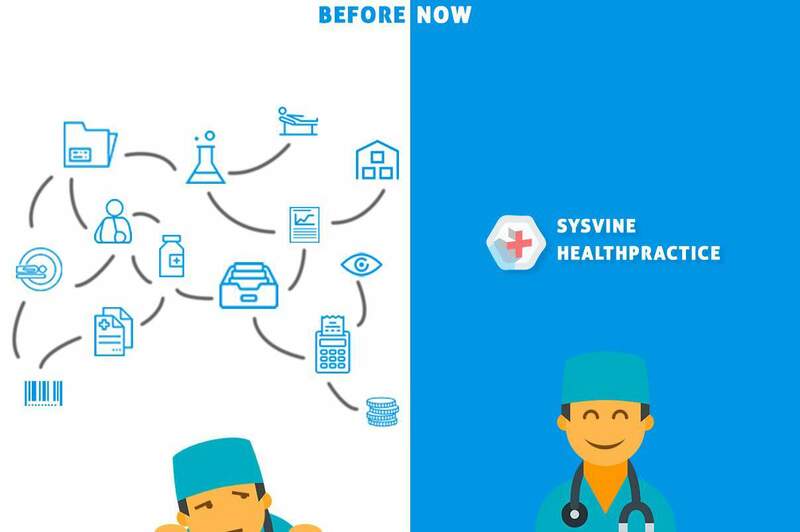 we have in our product Sysvine HealthPractice to give you an end-to-end solution! Sysvine HealthPractice is a comprehensive, secure, flexible, customizable and easy-to-use solution for hospitals and clinics that integrates all its departments and branches that are geographically separated. HealthPractice is our flexible, customizable solution for Hospital Management System (HIS) and Electronic Health Records (EMR/EHR). It is designed for both individual practices and multi-specialty hospitals. It addresses all the major functional areas of modern multi-specialty hospitals. The platform enables improved patient care and efficiency at affordable price. The platform is configurable and secure with authentication and access control for each module or sub-module. Our platform is completely NABH compliant. ICD-10 coding is supported fully. We are a full-fledged software company with over 200 software engineers; we do provide installation, customization and integration services to completely streamline your healthcare center. The application's real-time search is wicked fast and your team has done a great job with the user experience. Super impressed! We are really excited about the feature!